The Pitt football team swept the conference’s rookie of the year awards Tuesday, becoming the first team in ACC history to take both rookie honors. One day after the Panthers placed eight players on All-ACC teams, freshman safety Jordan Whitehead earned the ACC overall and defensive rookie of the year awards while redshirt freshman running back Qadree Ollison garnered the offensive rookie of the year honor..
Whitehead came to Pitt this year as a highly touted recruit out of Central Valley and delivered on all expectations. The safety led Pitt in tackles with 99, which was the highest total by a Pitt freshman in 28 years. His 8.2 tackles per game average ranked eighth in the conference. He is the first defensive player to win the ACC overall rookie of the year since 1996, when Dre Bly won the award at University of North Carolina. Whitehead also played on offense toward the end of the season, rushing 10 times for 79 yards and two touchdowns. Ollison earned the award as a redshirt freshman, as the running back filled in admirably for the reigning ACC Player of the Year James Conner. Conner tore his MCL against Youngstown State in Pitt’s first game and missed the remainder of the season. Ollison became only the fifth freshman in Pitt history to rush for 1,000 yards, tallying 1,048 yards and 10 touchdowns on 204 carries. With Whitehead and Ollison’s honors, Pitt has seen a player earn an ACC Player of the Year award in each of its three ACC seasons — Aaron Donald won the Defensive Player of the Year in 2013, and Conner won Player of the Year and Offensive Player of the Year last season. 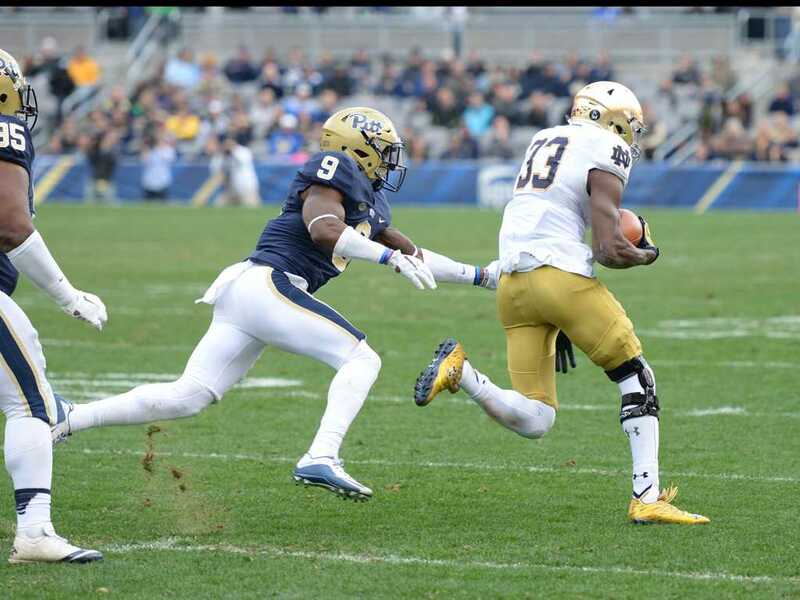 The 8-4 Pitt Panthers are bowl eligible and will find out their bowl destination this week.